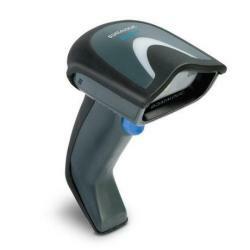 For this article we used a Datalogic Gryphon GD4130 general purpose corded handheld linear imager bar code reader but probably it will also work with other models from Datalogic or Symbol. usb 1-2: Manufacturer: Datalogic Scanning, Inc. The USB HID is associated to this driver and a /dev/input/eventx interface will appear. Using this interface it is possible to read the barcode content read by the scanner using the following example code. It is possible to download the this code with a single git command following this article: Programming examples on GitHub. Go ahead and scan something - press ctrl_C when finished. or using this free on-line barcode generators linked below.